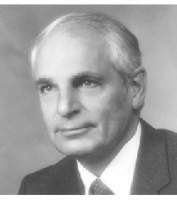 When the Hershey Foundation gave $50 million in 1963 for the development of a medical school and center in Hershey, Pennsylvania, a young 39-year-old cardiothoracic surgeon, John A. Waldhausen was recruited to become its founding Professor and Chief of the Department of Surgery. Waldhausen’s goal from the outset was to create an environment that fostered learning, research, and patient care, which he considered were the three core values of medicine. Dr. Waldhausen became renowned as an outstanding academician, leader, innovator, and editor. He pushed the frontiers in congenital heart surgery and promoted the advancement of artificial organs while mentoring countless faculty, residents and students. By his retirement from Hershey after 25 years, the Medical College had acquired national stature through Waldhausen’s development of superior general and cardiac surgery training programs and innovative research. As Dr. Waldhausen shared in a 2010 interview for the American Association of Thoracic Surgeon’s (AATS) book, “In the Words of the Presidents,” edited by Dr. Marc R. Moon, “His background was complex, yet simple.” He was born in 1929, in New York City into an aristocratic German family. His father was in the U.S. as President of Siemens Corporation. When Waldhausen was 10 years old, he returned with his parents and sister to Germany on the eve of World War II and spent the war years in war-ravaged Germany, first in Berlin and then in Bonn. When he was 15 years old, he was sent with other Hitler Youth to dig foxholes and tank traps behind the Western front battle lines. After the war, since Waldhausen was a US citizen, he was ordered by the US consulate to return to the United States. He wanted to complete his arbitur (high school equivalency) in Germany, before going to the United States. In order to raise money to hire a tutor to help him, he sold a prized gift from his grandmother, a Märklin electric train set to a Belgian soldier for 900 cigarettes, which he then, in turn, used to barter for his education. Passing his arbitur, Waldhaussen arrived in New York in 1947, 17-years-old, alone, and near penniless. When he attempted to enroll in eastern seaboard colleges, he was repeatedly refused admission. In desperation, he contacted Father Martin Werner, a Jesuit priest and former US Army Chaplain whom he had befriended in Germany. Father Werner got him a four-year scholarship at the small Catholic College of Great Falls, in Great Falls, Montana, where Father Werner was serving as the parish priest. While attending college, Waldhausen worked as an orderly in the local hospital and decided to become a physician. He went to St. Louis University School of Medicine and then to Johns Hopkins Hospital for a residency under Dr. Alfred Blalock. Then he moved to the National Heart Institute (NIH) where he became one of the early clinical investigators under Dr. Glenn Morrow, another Blalock mentee. At that time, the open heart surgery program at the National Institutes of Health was in its infancy, and, Waldhausen was able to bring an oxygenator into clinical use through his investigative laboratory work. After NIH, Waldhausen completed his surgical training at the University of Pennsylvania and University of Indiana. He was impressed with the training program at Indiana which was based on the Johns Hopkins model, and joined that Department of Surgery faculty in 1962. He quickly gained a reputation as a gifted technical surgeon, performing difficult cases with tremendous ease. At Indiana, together with David Nahrwold, Waldhausen developed the subclavian flap angioplasty for the treatment of aortic coarctation, which dropped the mortality rate from 60% to 3%.